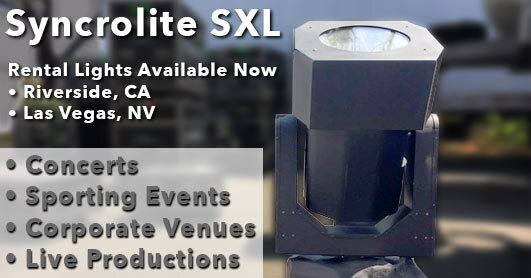 Need state-of-the-art equipment for your state-of-the-art event? We are ready to roll. Our Jumbotron Rentals and LED video walls will bring the action up-close and personal to your audience. Stack them in any way you need to achieve your custom LED video wall. We can provide the timing, scoring and graphic integration for your event. We have serviced many different types of venues which vary from indoors, outdoors, the arena, or the stage; we'll bring it to you. When it comes to jumbotron rentals, we are the leader. 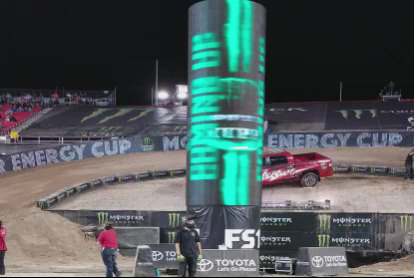 Various clients such as Supercross, Nascar, Monster Jam, and many on-stage talents have used our jumbotron rentals and LED video screens for their event of a lifetime. There will be no fighting for the best seat in the house. Our jumbotron rental solutions will have you covered at all angles. Need help covering your event? 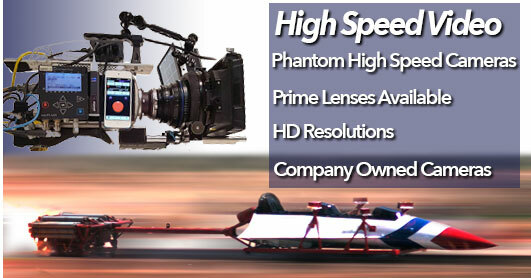 Our video production services will have you covered. We'll create all the motion graphics and content for your event. Then, we'll roll in and provide the professional video production services that your event needs. Our 48' HD20 video production truck has the gear you need to capture your event live. Use our professional staff or your own. Various clients such as Supercross, Nascar and many concert artists have used our jumbotron rentals and LED video screens for their event of a lifetime. There will be no fighting for the best seat in the house. Our jumbotron solutions will have you covered at all angles. Our 6mm virtual video wall was custom engineered by Victor Hernandez for outdoor applications with an amazing 8000 NITS of brightness. 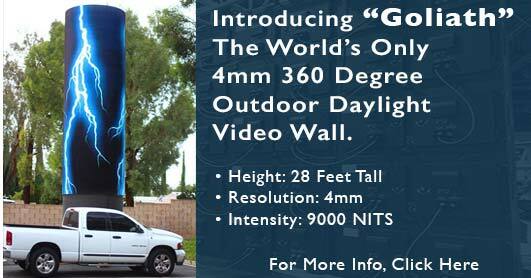 Until now 6mm walls in outdoor sunlight were not possible, today Final Design Group has created the answer. With an amazing intensity four times brighter than our competition's 6mm equivalent and resolution that will blow your audiences socks off. One of the most important technical considerations in determining whether an LED video wall is appropriate for a particular event is the venue's ambient lighting and size. Our technical team can help you evaluate your needs. 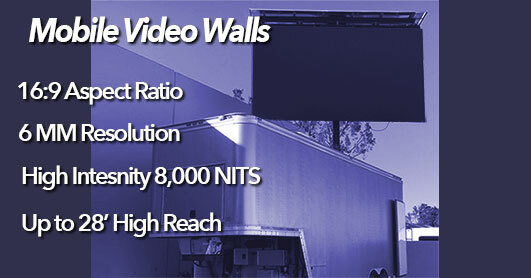 Our LED video walls are 8000+ NITS compared with leading competitors that can only produce 5000-6000 NITS. That means that in outdoor sunlight we are 25% brighter than the competition. In direct sunlight, in a market like Las Vegas, we deliver shows when others are waiting for the sun to go down. Your sponsors have more time to tell their message and in tight economies that's critical. Modular Jumbotrons and LED Video Screens Our modular LED video screens are made up of standardized cabinets that allow easy construction of the video wall. This method allows producers and creative directors flexibility in their thinking. Screens can be built to different sizes and shape. The screen may be stacked on the floor, flown from truss systems, or rigged in a variety of ways. Our crew has extensive experience in wall rigging and has the creative mind power to fulfill you dream show.